Rubber ratio and footprint maximised for better grip. Wide sipes and tread pattern to disperse snow. Thanks to its directional tread pattern: sipes to break the water and snow surface, optimised dispersal by the grooves. Thanks to its continuous central rib: hundreds of "teeth" in the middle of the tread pattern. Thanks to the rigid rubber blocks on the shoulders, its flexible rubber compound and the orientation of the rubber blocks. Thanks to a larger footprint. Thanks to the sipe and edge density. 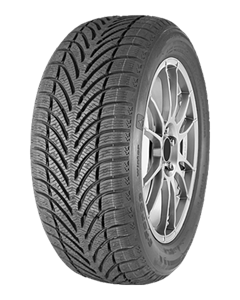 Sorry, we currently do not have any tyres with the g-Force Winter pattern in stock.